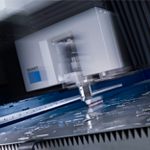 We buy Trumpf laser machines from manufacturers, dealers, distributors and end-users. Find what you need and get the service you want all right here. We buy only high quality used TRUMPF CNC Laser machines to bring the best affordable selection possible. Parts & Tools at your convenience to supplement any need you have for the machines. Guaranteed machine functioning in compliance with TRUMPF specifications and standards at fair conditions. Weso Laser provides you with full service at your convenience with reliability and precision. Buy and Sell Used Trumpf CNC Laser Machines & Tools. Satisfy your machine needs right through the industry professionals who knows best about Trumpf machines. Services & Installations Specifically for Trumpf Machine Users. We know our machines and the needs of our customers from years of experience. Find what everything you need right here. Weso Laser is a team of highly qualified professionals. Every member of its team has spent many hours polishing professional skills and earning a unique experience in the laser machine product and service industry. This allows the company to provide its customers with the most relevant knowledge and skills for convenient and flawless execution. Weso Laser is a U.S. company specializing in buying and selling used Trumpf CNC Laser Machines & Tools as well as providing Installations and other services to its users.